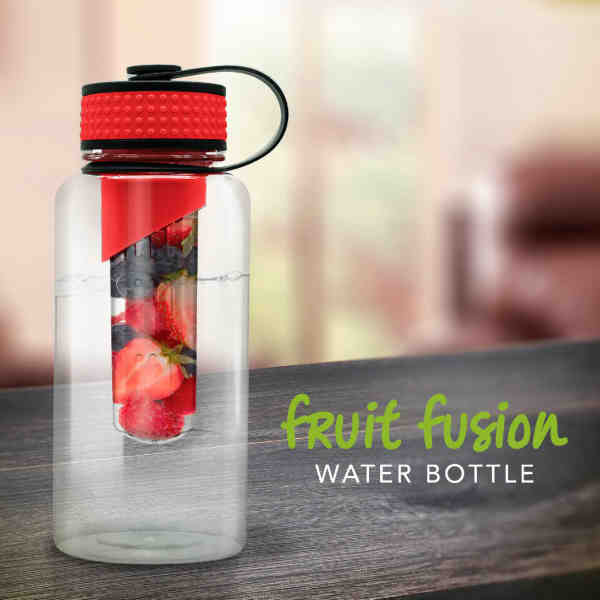 Naturally infuse your water, juice, or ice tea with your favorite fruit flavors using the 1L (34 oz) Fruit Fusion Water Bottle. Made with BPA free, eco-friendly, shatter-resistant tritan material makes it perfect for the gym, office, school, outdoors, and travel. Features a wide-mouth container, leak-proof screw on lid with plastic tether, and removable leak-proof two-piece clear infuser for easy cleaning. Imprint Size:4" x 4", 4 1/2" x 3, 4" x 8"